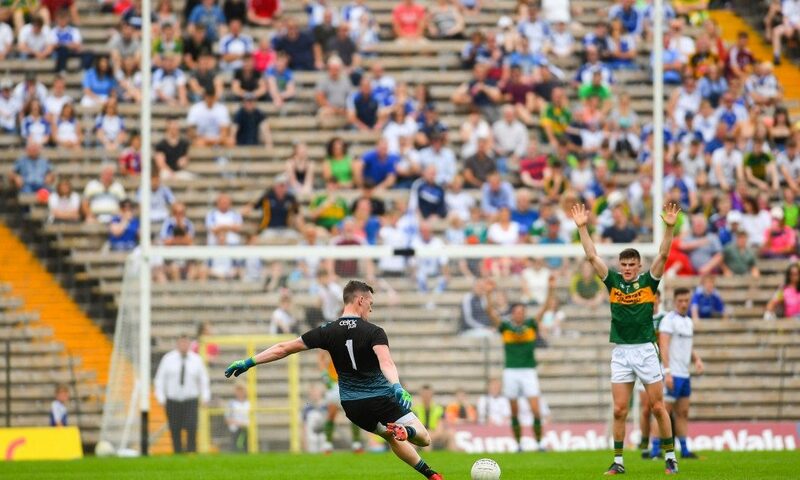 Since Saturday’s Ulster Intermediate Club Semi-Final was decided by a free-taking competition, debate has raged across social media, terraces, bar stools and media outlets. One overwhelming response is that the GAA community seem to be united that a game should not be decided by this means. The point that players train all year through all weather’s juggling work, family and other commitments dedicating their life to football only to be left with a sour taste, losing without actually losing a game. To set the context of this debate, Cavan kingpins Mullahoran and Derry champions Banagher served up a classic. Sixty minutes couldn’t separate the side’s thus a further ten minutes each way of extra time ended deadlocked. An additional five minutes each way ended with both sides attached at the hip, instead of the traditional method of heading to a replay the game was decided by a free taking competition. The stadium announcer referred punters to their match programme to find the regulations of the new rules. Five kicks each from the edge of the ‘D’ (33m) from goal, Mullahoran claiming a 5-3 win. In this instance the writer would agree that such protocol should not decide a championship fixture, other means must be exhausted and would be more fitting, many of which I will discuss in this article. The Cavan men admit that the situation isn’t ideal, but they are happy and why wouldn’t they, they’re in the Ulster Final. Banagher have a right to feel aggrieved and why wouldn’t they, they haven’t actually lost a game and their season is over, dreams are dashed. This writer is left to ponder the question if the GAA would ever allow a Tyrone-Dublin championship clash to be decided in this manner. It would be wrong for me to quash the idea without suggesting alternative endings so, that I will. It was perfectly feasible for this game to go to a replay, the slot in the calendar allowed such an event to occur. The Intermediate Final will take place on Saturday December 1st, that leave the weekend of 24th/25th of November free for a replay to take place and not displace the original final date. If the game needs to be decided on the day, then I’m sure no team would complain about extra time rolling until an outcome is reached. Yes, it would be gruelling and be almost like a gladiators fight to the death in the coliseum but at least it’s still a game situation. If the two periods of additional time are unable to separate the sides, a further five minutes each way could be played. Here though tension would reach fever pitch (pun not intended) the throw-in would become crucial with the next score of the game deciding the winner. From the outset this is clearly a first cousin of the free-taking competition. Other sports use it and it has become ingrained into the game as time passes, it’s an option and only that.